There is nothing like dinghy racing to improve sailing and boat handling skills. It not only shows you how to sail as quickly and efficiently as possible, but also how to maneuver and avoid problems when sailing close to other boats. Sailing is a sport which should always be enjoyable. After you have mastered the basics of sailing around the bay, where do you go next? More wind will certainly entertain you, because that's when all boats become more exciting but also more difficult to sail. Even there you may eventually reach a limit where it seems easy to go screaming up and down, posing the problem that too much of a good thing will inevitably get boring. The solution is easy. Go dinghy racing and you will discover that there is a lot more to learn about sailing after all. Young people can perfect their racing skills at smaller events. Here, they beat up to the windward mark at an event on Lake Garda in northern Italy. Children learn fastest through racing with their own age group in junior international classes, such as the Optimist or Cadet, or in a beginner boat such as the Pico shown here. go racing every weekend through the main season with the ambition of advancing from the back to the front of the fleet. Competitive sailing allows you to sail in close proximity to more experienced sailors—just watching them on the water and asking questions onshore is a great way to improve skills and make a whole crowd of new friends. Dinghy racing is for all ages. 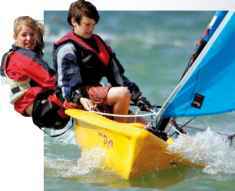 Children may start competing in the tiny dinghies from around the age of six, although many enthusiasts come into both sailing and racing a few years later. Adults may take longer to learn and may not be quite so agile, but there are plenty of relatively stable boats in which to enjoy racing. The first two things you need to decide are where you will race and in what boat. Wherever there is suitable wind and water, you can be sure to find sailing clubs with fleets of dinghies. 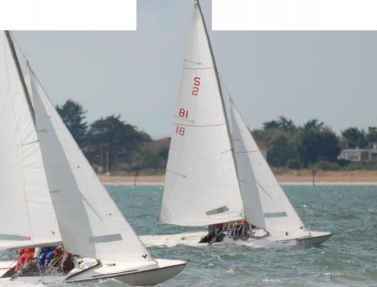 The national sailing authority for each country will keep a database of clubs that organize regular racing and coaching for specific dinghy classes. 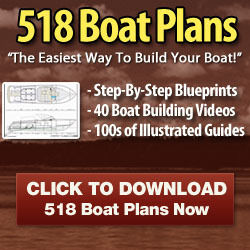 Many of the popular classes are "one-design," in which all boats are of the same make and design, while some allow an open choice of construction, sails, spars, or fittings, which generally leads to a more complex and expensive style of boat. Entry-level racing is provided by local events. In most countries with an established sailing tradition, active dinghy classes have their own associations, run by members for members, which organize an annual series of events that may include weekend events for racing or training at different venues, a national championship held over several days for each country, plus international championships for the better-known classes. The top level of dinghy racing, which is now contested only by full-time professional sailors, is the Olympic regatta held every four years (see Olympic Racing, pp.338-339). A local racing event often provides great fun and close finishes. The thrill of participation rather than quest for lavish prizes is the draw. The windward leg is a crucial test in any race. This close-fought beat is at Kiel Week, one of the world's major regattas (see p.326), on Germany's Baltic coast.